Last week, the second season of Castlevania dropped on Netflix. However, Nefflix didn’t wait long before deciding upon the future of the show. 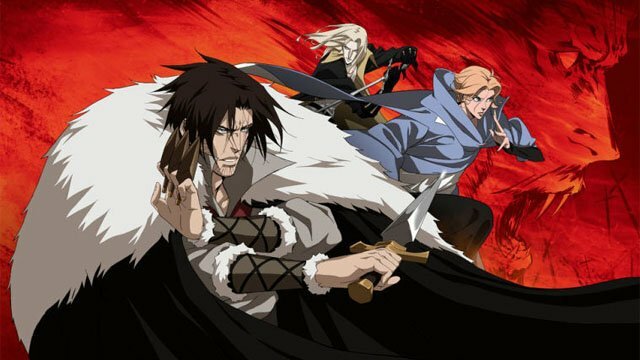 According to Deadline, Netflix has already ordered Castlevania season 3 with an expanded episode count. The new season will have ten episodes, an increase from the eight episodes in season 2, and four episodes in season 1. Comic book writer Warren Ellis wrote the Castlevania series, which was based on the Konami video game franchise. The first two seasons loosely adapted the story of Castlevania III: Dracula’s Curse. In this retelling, Vlad Dracula Tepes (Graham McTavish) planned to exterminate the population of Wallachia after the murder of his human wife. Trevor Belmont (Richard Armitage), the last of his monster-fighting clan, was one of the few to oppose Dracula’s plans. He was joined by Sypha Belnades (Alejandra Reynoso) and Alucard (James Callis), the son of Dracula himself. The second season seemingly wrapped up the story, but the video games offer several potential follow up tales. Minor spoiler alert: Dracula always returns, so his apparent death probably won’t be permanent. The real question is whether Trevor and Sypha will have another adventure, or if a different Belmont descendant will take up the family fight. Alucard will almost certainly be back, since he was a key character in Castlevania: Symphony of the Night and Castlevania: Aria of Sorrow. Earlier this week, Castlevania producer Adi Shankar teased a new video game adaptation that will be announced in November. However, The Wrap is reporting that Shankar’s new show will be based on Nintendo’s The Legend of Zelda. If so, it would be one of the first non-Pokemon Nintendo adaptations in decades. What do you want to see in Castlevania season 3? And should a Legend of Zelda animated series join it on Netflix? Let us know in the comment section below!